Since 2002 I have been heavily invested and interested in the fitness world. I’ve played numerous sports while in grade school and also while attending college. Once I moved on from school sports, I joined the nearest gym in the neighborhood that I was living. While working out I noticed there would be numerous women wanting to talk and discuss my fitness regime and lifestyle. They asked for advice about losing/gaining weight, muscle building, toning, meal prepping, and anything else that you could imagine about being more healthy. I would happily advise and give my honest suggestion based on my lifestyle. So, fast forward, I studied and decided to became a certified ISSA (International Sports Sciences Association) Personal Fitness Trainer in 2014. As a certified personal trainer and a specialist in healthy nutrition for adults, I have personally trained and advised clients from ages 8 to 89 years old. I enjoy working with clients of all ages and I have numerous testimonials from satisfied clients. A little bit about my childhood history, as a young child, I was severely burned in a house fire and suffered from permanent scarring. My grandmother saved my brothers and I, but later collapsed from the smoke inhalation and died. Although, my grandmother did not make it, I was saved. After witnessing this unconditional love at an early age, I came to realize early on that there is no love like the love of sacrificing your life to SAVE ANOTHER’S. My passion in fitness and health is not only to show my faith in God, but to inspire others and hopefully save a few of lives of my own through maintaining a healthy lifestyle. My goal is to continue to be an example to women all over the world through my company’s products and services that I myself continue to use on a daily basis to maintain a healthy and active lifestyle. We are truly honoring God when we take care of and cherish the body he has given us. Let me help you elevate your gift from God and personal temple (your body) by continuing to enhance and make it stronger. This is my purpose and I live it every day. “Fitness is life” and I hope that you will consider joining my team! Are you ready to put in the work to build the booty & body that you want? My philosophy is to design a personal plan for clients based on their goals and needs and also help them adapt to it. Clients should expect to learn a lot from me as I will be learning a lot about their needs as their trainer. After their initial assessment, I will be able to generate a day by day program in order for the client to progress at a bearable pace to a fitness level that is right for them. They will be sure to use equipment that is needed specifically for their goals and also equipment that they enjoy using as well. I have had a lot of client success stories. One in particular that I love entails a recent one. 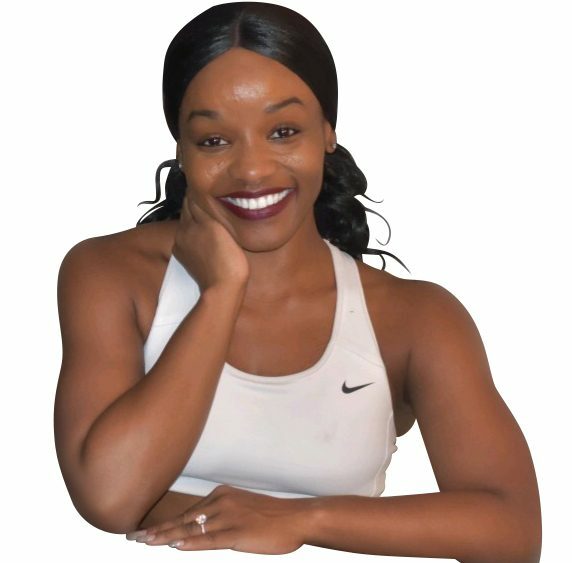 I was creating the virtual trainings and challenges via IG live and this one woman reached out to me after the challenge was completed. She told me that she attended every training. She respected me so much because I was always on time, professional and so nice and understanding about everything. I interacted with everyone on a personal level and that made her really comfortable. She stated that when she joined my 30 day challenge she was nervous because she was in New York and I was in Georgia. Once we talked over the phone and went live and talked about her goals and why she needed to make a lifestyle change she forever wanted to hold me near. She stated that I am a listener. I listen to help in order to contribute my expertise in the most professional way. She told me that she lost 12lbs during the challenge and after she was able to lose 20 more due to all that I had taught her and the other contestants in regards to healthy eating and exercise. She was able to live her life without the needs of high blood pressure and her doctor cleared her to workout with my equipment. She cried and said she thank God for my existence and would forever need and support me.